Adobe recently conducted a survey that uncovered some interesting details about the success of email marketing. Apparently, email marketing is still the most favoured marketing channel, even though a lesser number of professionals are checking emails this year, compared to last year. It seems they must be getting tired of the electronic onslaughts, as they’re tending to check emails only when they arrive at work, and they’ve started to refrain from opening them while in bed; perhaps this antisocial bedroom behaviour is finally being called out? Conversely, they’ll still check emails while they’re on vacation… and this is interesting. Could it be that they can’t face a mountain of digital mail on their return? There’s nothing quite like the dread of a post-holiday inbox. Just over half of those surveyed said that their smartphone was the primary device for checking emails, and 61% were happy to receive marketing emails that contained offers and promotions. This is a reminder that marketing communications should be devised with smartphone compatibility in mind. Simplicity is also key. People don’t have time to scroll through reams of your marketing coercions, regardless of how compelling you feel they are. Short, sweet, relevant and personal are going to win you points every time. 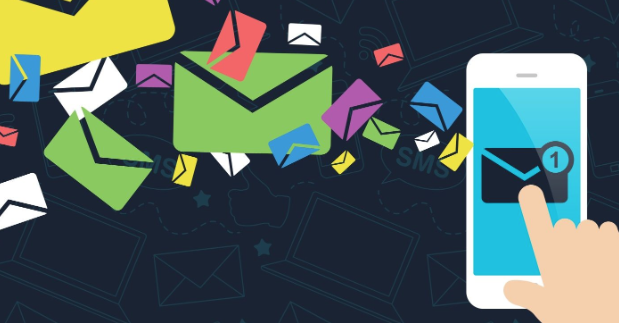 When it comes to marketing, it seems that email marketing is less annoying than some other forms of marketing… and as the preference is (according to 65% of those surveyed) that brands get in contact via email, such communications are more likely to be noticed. Around a third of marketing emails will invoke some interest in product purchases, but the caveat is that you must address them personally. Taking the time to get to know your target demographic well has never been more important. Taking a look specifically at European consumers’ email habits, Adobe found that they are keener than UK participants to be addressed personally. Europeans were even more happy to receive email communications from brands than their UK counterparts… but around half of them wanted offers and promotions straight to their inbox – slightly fewer than the UK’s bargain hunters. Europeans also mainly use smartphones, and they too require a convincing level of personal relevance; in other words, you won’t get far if you haven’t studied your analytics. It pays to know what appeals to who. Lists will need to be carefully segmented and again, visual presentation must be spot on (as above). As is the case in the UK, people are checking emails less often in general, which means that marketers will have to work extra hard to stand out from the crowd. Customers have certainly got more demanding over the years, due to the proliferation of marketing channels and the bombardment of digital information. Their poor frazzled brains need a break from the onslaught, so they’re getting fussier about what they give their attention to. To conclude, we would say that creative skills and careful analysis have never been more important, but at least your communications are more likely to be received if they’re in email format. If you need any help with your email communications, you’re in the right place. Contact Optimasit for all IT solutions in Marbella. Our helpful team are part of the best online marketing group in Marbella, and they are happy to advise on what they can do for you.